Supacat is best known for manufacturing highly mobile vehicles like the Jackal and Coyote, which were used by the UK Army in Afghanistan. But in its first major foray into the maritime space, Supacat will unveil a high performance Rigid Inflatable Boat (RIB) at DSEI in London. 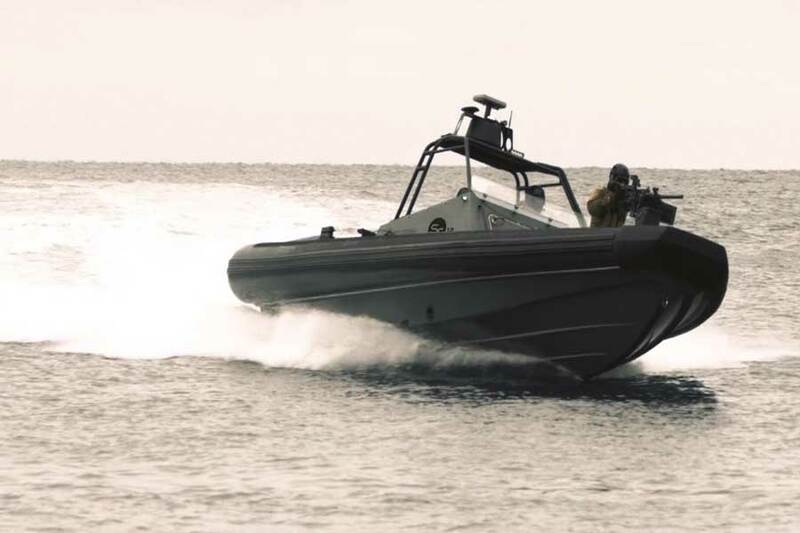 The capabilities of the SC12 RIB, which Supacat teamed with Norwegian boat builder, Goldfish Boat, to offer into the UK market, will be demonstrated on the River Thames throughout the show. Supacat and Goldfish Boat will offer the UK market a 12m SC12 and a 9m variant, SC9, which are developments of craft already proven and in-service with NATO forces. Supacat will provide the UK based engineering support, project management and through life support functions for SC12 and SC9, marking a further expansion by Supacat into the maritime defence sector. Supacat can draw on the marine capabilities of its parent SC Group’s sister businesses, marine engineer Proteum and specialist engineer SC Innovation responsible for the SMV24 multi-role support vessel. Goldfish has a 24-year history in designing high performance RIBs renowned for high speed, agility and durability to meet the demanding military applications and are backed by an international racing pedigree. The innovative hull design and power integration of SC12 and SC9 create a responsive, manoeuvrable and powerful platform for the user and achieve speeds of more than 50 knots. The fully integrated C4ISR system enables rapid decision-making and response times provide the user with tactical options through configurable, easily accessible and shareable C4ISR feeds. Goldfish Boat’s RIBs have proven aerial dispatch and air delivery capabilities, and can be deployed by CH47, A400M and C17 aircraft, enabling a flexible response and ease of recovery. The platform is adaptable and can be re-configured for mission specific requirements, with the position of equipment and personnel optimised for each mission. SUBSCRIBE to the magazine to find out why Special Forces emphasize deployability, a reduced training burden and fightability for Rigid Inflatable Boats.